1) A kind of brand new construction material, which adopts special baking enamel to enrich its color tone and classical flavor for the purpose of your fantastic architectural works. 2) Light in weight, high in strength, water-resistant and easy to install. 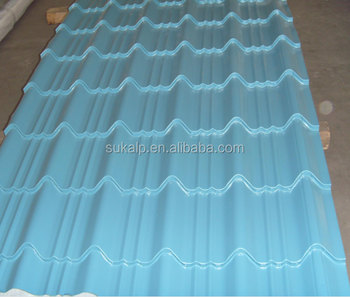 3) Widely used on villa roofs, city buildings from flat to slope roofs, and buildings in tourism resorts.